Here's something fun you might want to try with your Fallout game. Just make sure to Save before doing this, so you can restore a Save without all the barrels because this cheat causes extreme lag. I'm not gonna lie to you; your Fallout might crash. Maybe it would be better to test it with a smaller number first. Eg. player.placeatme 000000e 100 - To make it rain, use the MIRV. Again, remember to SAVE, there's a good chance your game will crash. Do not say we didn't warn you. Save your game before attempting this. 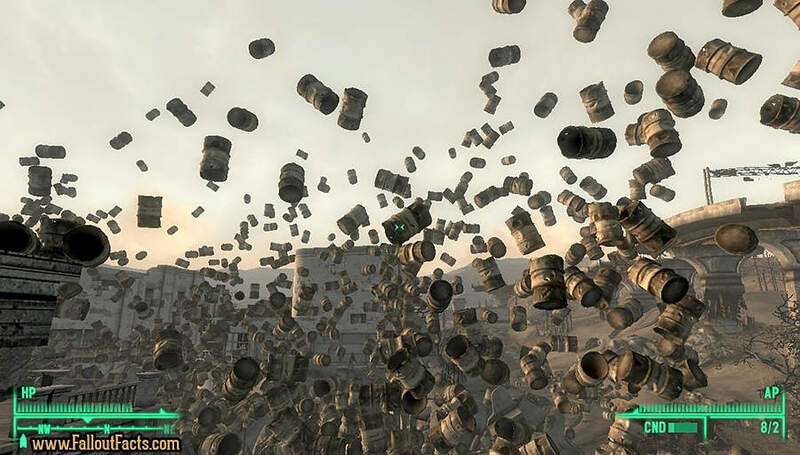 And that's all on how to make a barrel rain in Fallout. Enough for today, wastelanders; stay tuned for more Fallout Facts. Did you find this article interesting? Share it!